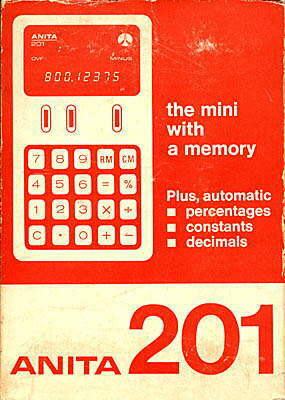 The photographs here illustrate the complicated situation of Rockwell calculator manufacture. 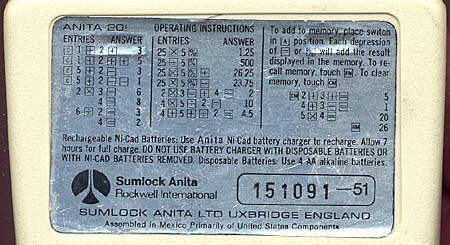 The box for the calculator, left and below, display "Sumlock Anita, Rockwell International". 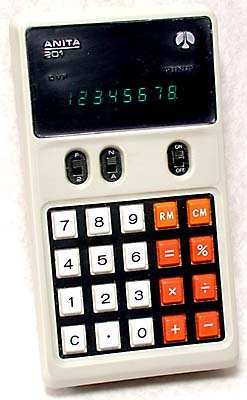 The label on the rear of the calculator displays "Assembled in Mexico, Primarily of United States Components". 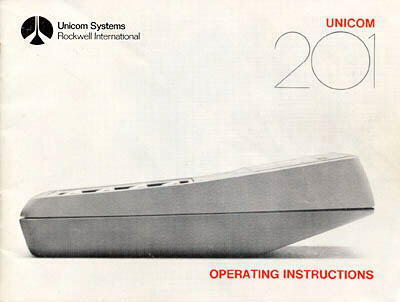 The instruction manual does not mention Anita at all, but instead features the name of Unicom Systems, which was Rockwell's U.S. calculator manufacturer.